Deranged Student Steals Man's Trump Hat: "Your F***ing Freedom of Speech is Genocide, Homeboy!" 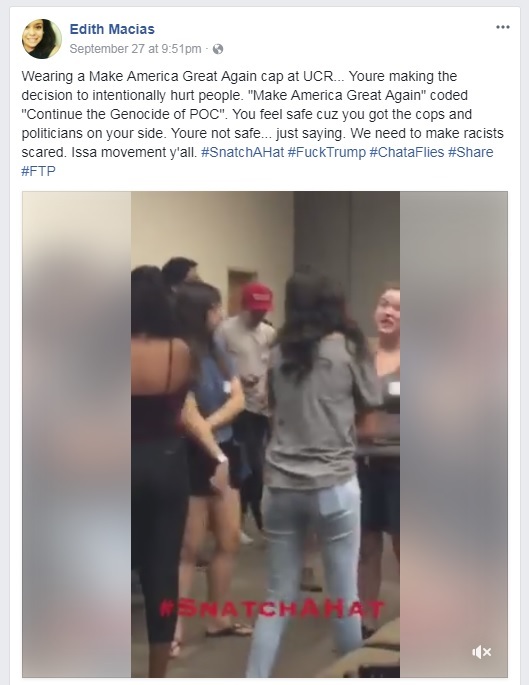 Viral video from the University of California shows deranged Latina student Edith Macias throw a fit and advocate for white genocide after being confronted for stealing another student's Trump hat. 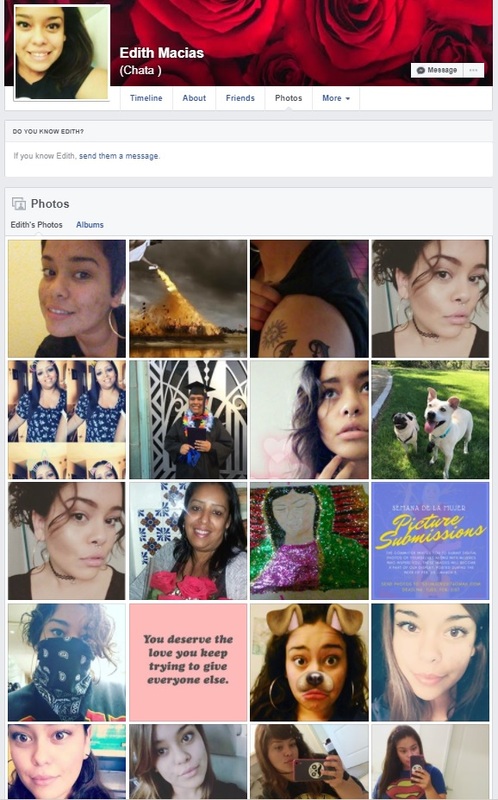 After video of the altercation went viral, Macias issued a terroristic threat on Facebook telling her victim he needs to fear for his life and is "not safe" despite having "the cops and politicians on your side." After Vitale informs Macias he's half Nicaraguan, Macias says she doesn't care because he's "white presenting." "We need to get rid of all y'all," she says. This is what unabashed racial hatred looks like. It's being taught openly in our nation's largest public universities and being funded by US taxpayers. 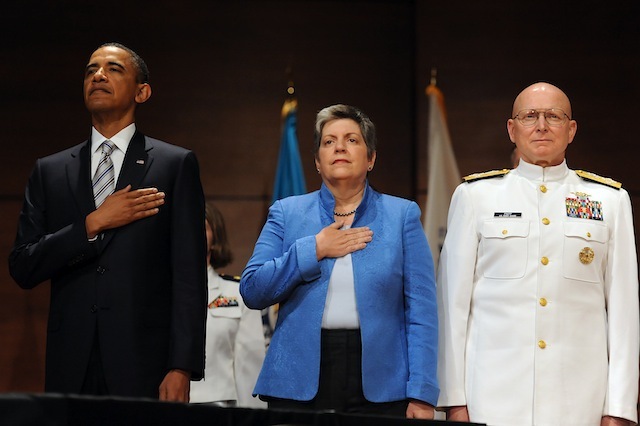 The current president of the University of California is Obama's former Secretary of Homeland Security Janet Napolitano. It's long past time these factories of racial hate have their federal funding cut off entirely unless the Cultural Marxist professors who teach this garbage and their enablers are fired.